The wait is almost over for fans and manufacturers of watches – the big exhibitions of the year are almost here. The SIHH is literally just around the corner and then it won’t be long before Baselworld. 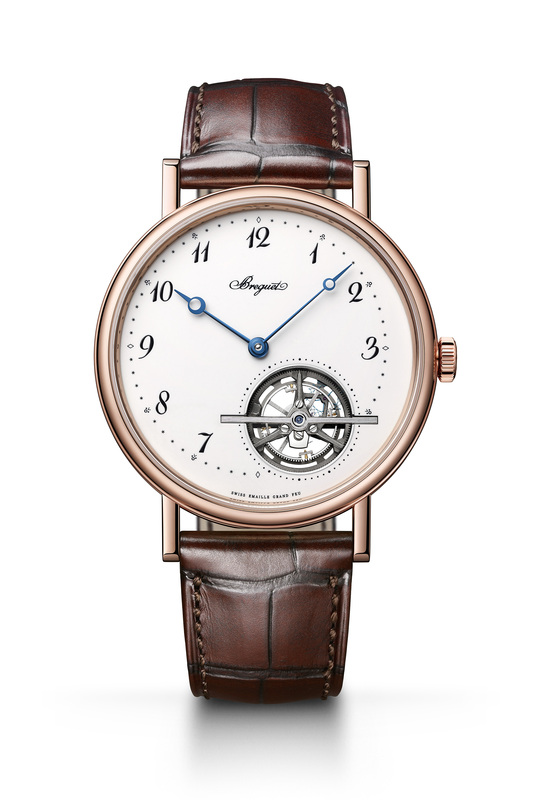 Breguet just hinted that they will introduce a new tourbillon model at Baselworld. Breguet will enrich its Grandes Complications collection with the Classique Tourbillon Extra-Plat Automatique in a “Grand Feu” enamel version. The addition to the Classique Grandes Complications collection Ref. 5367 provides a beautifully simple interpretation of the tourbillon, which reigns supreme on a minimalist dial. The information has been deliberately pared down to essentials in order to give the mechanism the full attention it deserves. Contrary to reference 5377 presented in 2013, this new edition has no power-reserve indicator. In order to draw the gaze to the key element, Breguet has opted for a graphic hand-bevelled tourbillon bar, topped by a spinel. The likewise blue Breguet hands strike a powerful contrast with the immaculate whiteness of the traditional enamel, thereby ensuring perfect legibility of the hours and minutes. The chapter ring with Breguet Arabic numerals is off-centered at 11 o’clock and thus directly facing the tourbillon at 5 o’clock. This display layout is reminiscent of the watches created by A.-L. Breguet, which revolutionised the aesthetic conventions governing the timepieces of their era. While the appearance of this Tourbillon Extra-Plat Automatique model is extremely understated on the front, its movement is nonetheless richly decorated and hand-engraved, to be seen through the sapphire case back. The calibre 581 comprises a balance oscillating at a frequency of 4 Hz while maintaining a comfortable 80-hour power reserve. 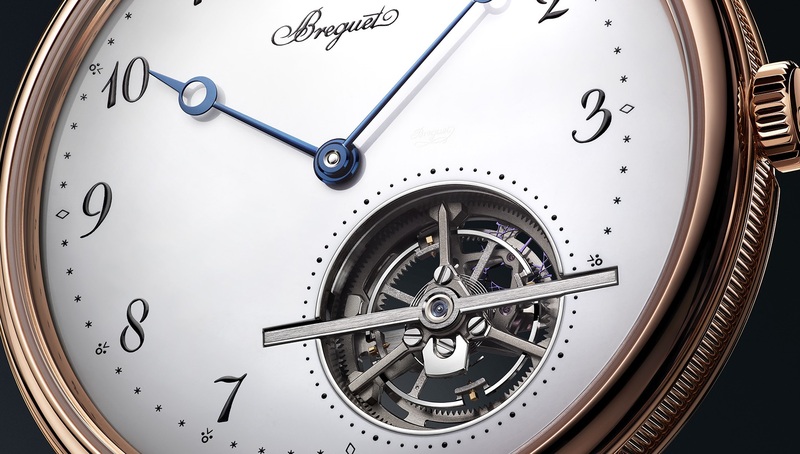 The Breguet Classique Tourbillon Extra-Plat Automatique 5367 with its “Grand Feu” enamel dial is available in rose gold or platinum versions, respectively fitted with a brown or blue alligator strap. This entry was posted in Automatic Wristwatches and tagged automatic movement, Breguet, Enamel, Leather Strap, Men's Watch, Tourbillon, wristwatch by admin. Bookmark the permalink.